Callahan & Associates, Chtd. - Coeur d'Alene Attorney | Idaho Estate Planning Law Firm | Callahan & Associates, Chtd. probate, charitable planning, Veterans Benefits, and elder guardianships. Our firm’s main focus is satisfying our clients as we help you protect your assets and plan for your future. legacy. Kimmer is a board certified estate planning law specialist (EPLS)*, one of only five board certified attorneys in the State of Idaho, and an Accredited Estate Planner(AEP)®**. Focus – Our firm is 100 percent dedicated to estate planning and elder law cases. clients and other legal professionals in the area. * Certified as an Estate Planning Law Specialist by the Estate Law Specialist Board, Inc., the only estate planning certification entity approved by both the American Bar Association and the Idaho State Bar Association. 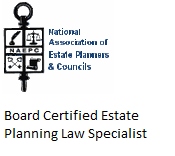 **The AEP® designation is awarded by the National Association of Estate Planners & Councils to recognized estate planning professionals who meet special requirements of education, experience, knowledge, professional reputation, and character. Elder law – Our elder law services assist senior clients and their families with issues involving Medicaid Planning, Veterans Benefits, including Aid and Attendance Pension, and guardianship and conservatorships. Wills and trusts – Our firm can help you draft valid and comprehensive wills and trust agreements to give your family members the peace of mind they deserve. Call Callahan & Associates, Chtd. at 208-664-9228 or contact us online today to schedule a free consultation on your estate planning case.